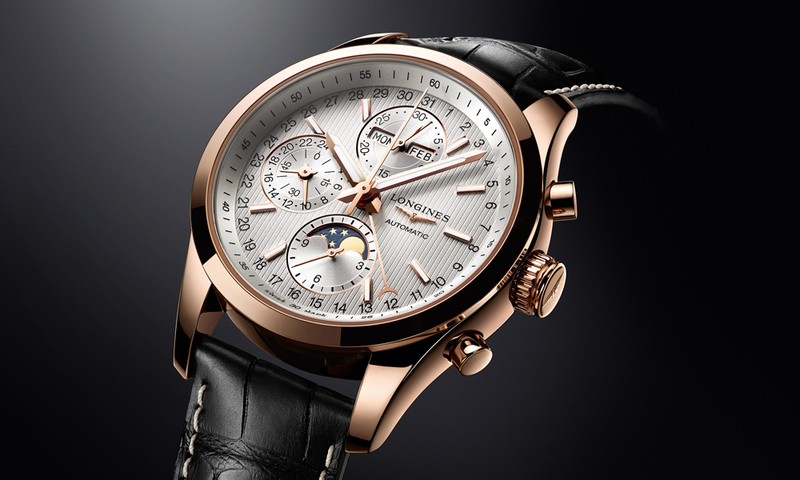 Longines is to celebrate equestrian sports with the introduction of a new addition to its Conquest Classic collection, the Conquest Classic Moonphase. 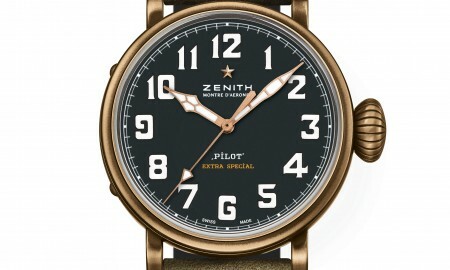 The chronograph will house a self-winding L679 mechanical movement. The 42 mm case, will be available in steel, steel and rose gold cap, and 18 carats rose gold. It features black or silvered dials, which boast 9 appplied indices coated with Super-LumiNova, complementing the background to the Moonphase display. 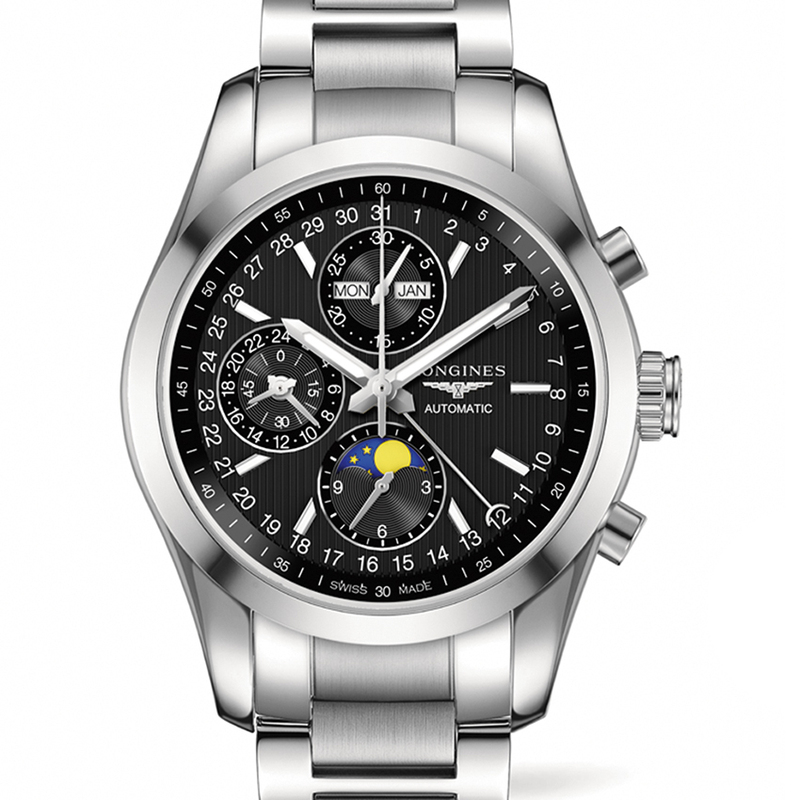 Though patented in 1954, the ‘Conquest’ brand has been used sparingly by Longines. The line will now focus exclusively on the art of equestrian sports. The Conquest Classic Moonphase has its 12-hour counter at 6 o’clock, the 24-hour indicator and the subdial for the seconds at 9 o’clock. The date is indicated by a half-moon central hand. 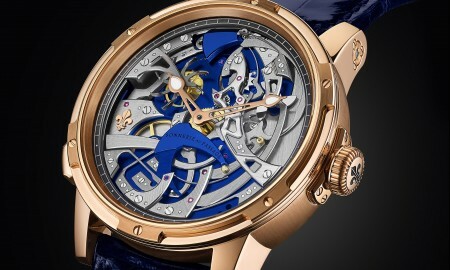 The back of the case is transparent, offering a view of the movement contained within. 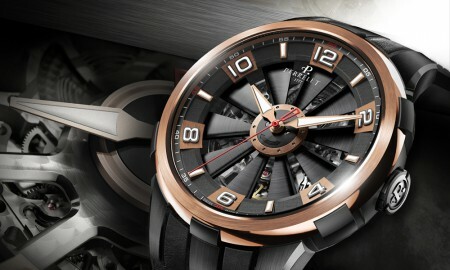 The timepiece is fitted on a black alligator strap, steel or steel and rose gold cap bracelet. Each has a triple folding safety clasp.